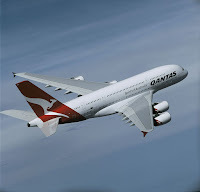 News in from Australia and the Qantas Group has reported an Underlying Profit Before Tax of $1.6 billion for the 2018 financial year, which is a new record for the national flag carrier of Australia. It reports today that all parts of the business contributed to the result which has been helped by healthy levels of demand across key market areas, higher revenue and a particularly strong performance in the domestic flying businesses of Qantas and Jetstar. The result will not only enable the Group to return a dividend to shareholders but also keep investing for the future. The group will also reward its employees with a cash bonus the company said today. Chief Executive Officer Alan Joyce said the record profit reflected a strong market as well as the benefits of ongoing work to improve the business and build long-term shareholder value. “These numbers show a company that’s delivering across the board. - Our investment in free Wi-Fi and cabin improvements are delivering a better experience for customers as well as higher earnings for Qantas and Jetstar. The overall value for the travelling public remains extremely strong, with domestic sale fares almost 40 per cent lower in real terms than they were fifteen years ago." Mr Joyce explained the at airlines was seeing good demand across was particularly pleased with the result despite higher fuel costs. “Ultimately our success relies on the great service and dedication to safety from our people. - We’re very pleased to reward our people with a bonus for this fantastic result." Several major investments were announced during FY18, including six additional 787-9s for Qantas International, accelerated the retirement of remaining 747s, a major upgrade of A380 cabins and 18 new A321LR NEOs for Jetstar. The concept has been met with substantial levels of support from state governments, local councils and the private sector. Qantas has set aside a total of $20 million towards the establishment of the two facilities. Both will be located in regional Australia, with cities to be announced in coming weeks. The first location will open during the calendar year 2019 and the second expected to follow in 2020.